Take a long look at the fractals above and ask yourself: are they developing? are they growing? There appears (to me) to be no obvious, or distinguishing differences between (fractal) growth, and (fractal) development. 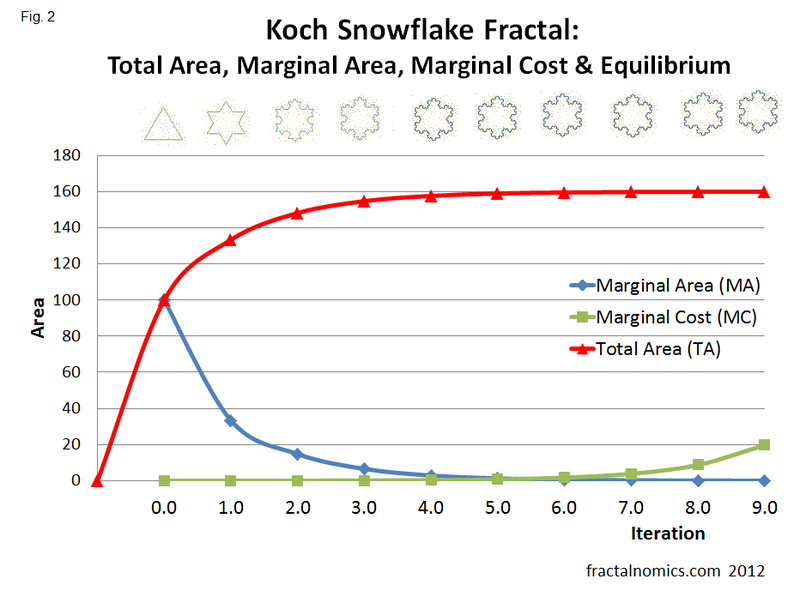 When describing fractals, the terms growth and or development are often used interchangeably. 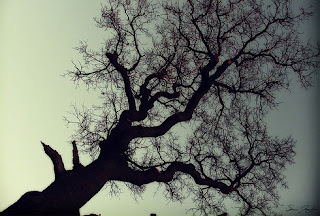 As if to be a law, the fractal fact is that the two are inextricably linked - as the fractal grows, the fractal develops. The fractal demonstrates Development: this is to do with the increase in complexity of a fractal as it iterates towards fractal equilibrium; it is a qualitative measure of fullness, completeness. The fractal (also) demonstrates Growth, and may be seen as an increase in either the area, or number of triangles, or even the perimeter of the snowflake - which is apparently infinite. To analyse growth (more), we need to go back and look at one of my early diagrams I 'developed' (above). 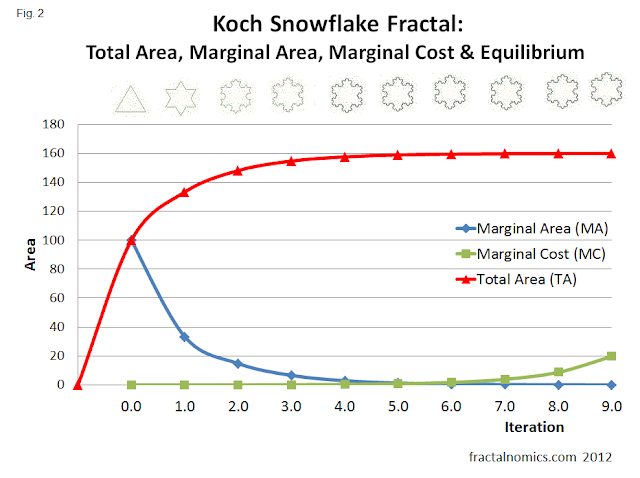 The red Total Area curve (TA) actually shows the GROWTH in the area of the Koch Snowflake: it rises quickly at the early stages and then at a slower rate as the 'snowflake' or fractal gets closer to equilibrium. There appears to be limits to growth. The problem with this approach of measuring growth is that traditionally we do not think of Area (or utility) as a measure of growth, rather we use change in quantity - traditionally measured on the x axis.